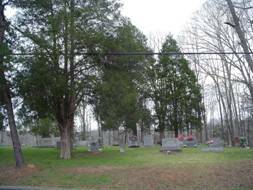 The Greenwood Cemetery East is located about .2 mile north of the square in Waynesboro on the right side of Highway 13. Black, Carolyn; b. 15 Feb 1911, d. 06 Mar 1912, daughter of Richard & Nona H.
Craig, Harvey; d. 16 Aug 1894, 5 years, 10 months & 8 days of age, son of P.H. & Jonie H.
Haggard, Anna Lou (Montague); b. 29 Apr 1898, d. 12 Nov 1956, wife of R.R. Haggard, Annie C. (Norman); b. 03 Mar 1864, d. 12 Sep 1926, wife of R.A.
Haggard, Harry Halcomb; b. 12 Aug 1894, d. 22 Oct 1900, son of R.A. & Annie C.
Helton, Mittie E.; b. 29 Jun 1881, d. 27 May 1918, wife of Walter A.
Hurst, Harriett I.; b. 05 Mar 1860, d. 28 Jul 1946, wife of Thomas K.
Martin, Tennie E. (Cole); b. 04 May 1892, d. 18 Apr 1969, wife of T.A. 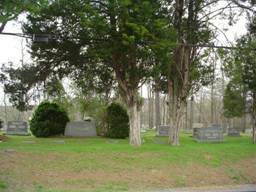 McCrory, Hugh; 10 Apr 1935, TN Pvt. 162nd Inf. 41st Div. Moore, Mary L.; b. 1866, d. 1956, wife of S.J. Morrow, Emma Jane; b. 30 Aug 1864, d. 28 Aug 1922, wife of D.N. Morrow, Josephine; b. 04 Feb 1858, d. 04 Aug 1932, wife of John E.
Paschall, Annie Lucile (Haggard); b. 06 Oct 1901, d. 18 Jan 1926, wife of A.O. Spurlock, Edna Mae (Helton); b. 05 Jan 1890, d. 23 Aug 1924, wife of G.H. Trammell, Grace Corinne (Belew); b. 18 Oct 1914, d. 13 Aug 1939, wife of H.S.